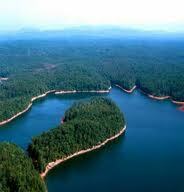 Lake Allatoona is so much more than a perfect lake, set in perfect surroundings. From hiking trails to historic places to incredible museums, you will never be bored when visiting the attractions near Lake Allatoona. The Lake Allatoona region has a rich history that includes a Civil War battlefield, and the settlement where the removal of Native Americans first began. The bloody battle of Allatoona Pass took place here during the Civil War on October 5, 1864. Follow the Allatoona Pass Civil War Interpretation Trail in Red Top Mountain State Park to find out detailed information about the battle. You may also visit the museum in the Lake Allatoona Visitor Center to learn about about the area’s role in the Civil War. The Fabulous Tellus Science Museum. The vicinity was also home to the Etowah indians. For information about the Native Americans who lived here, visit the Etowah Indian Mounds Historic Site in Cartersville. The New Echota Historic Site is where the Trail of Tears began many years ago … and where the trail of tears of bored kids ends. If they don’t like the restored buildings and exhibits, they’ll love the beaver pond. 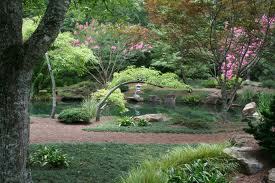 One of America’s finest gardens is in Ball Ground, GA.
We encourage you to visit Gibbs Gardens.